It’s been a busy time at Diabolical Toy, and so I’m reposting some of our more popular articles from our humble beginnings… This is a re-post of an article I originally wrote in January of 2010, while working with my Diabolical Toy’s first ever clients, Kami Garcia and Margaret Stohl, the authors of BEAUTIFUL CREATURES, BEAUTIFUL DARKNESS, and the upcoming BEAUTIFUL CHAOS. My last week has been extraordinary. I stumbled upon a great opportunity to work with two authors designing an online promotion tied in to their book tour through the southern states. I’ve been designing a game that mystifies and intrigues, taking the players across the internet. I’ve had the chance to interact other authors of books that I admire. And it has come as a wonderful surprise. How did this happen? Through Twitter. At this point, it’s almost a cliche. 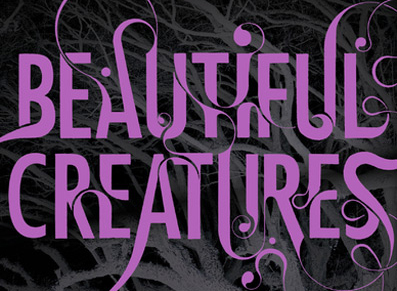 I’ve been chatting on Twitter with Kami Garcia since before the release of Beautiful Creaturesthe book she wrote with Margaret Stohl (If you haven’t read the book yet, get in line. It’s been on the NYT best sellers list for over 6 weeks now, and bookstores are running out of copies). Kami, Margaret and I decided to meet for lunch when I came to town for a work gig. And we got to talking… about their book, about a bookI wrote and the marketing strategy I was designing to promote it. When Kami said “Can we use your ideas?” I said, “Sure, as long as you use me with them,” or words to that effect. It was the most spontaneous case of preparation meeting opportunity that I’ve ever experienced… really good luck, some would say. And so with two days notice we began designing and implementing The BEAUTIFUL CREATURES Southern Tour Scavenger Hunt, a cross-internet game in which players solve virtual riddles. In designing clues, we’ve teamed up with the incredible Vania Stoyanova, Carrie Ryan, the author of THE FOREST OF HANDS AND TEETH and nowJackson Pearce, who wrote AS YOU WISH. In a late night conversation with Kami, at the end of another grueling day of the book tour, we got to talking about these sorts of advantageous connections… the people we meet who can help us, and the people we can help. In the best possible sense, we are using one another… as opposed to abusing one another to further our own agendas. And this is the value of collaboration through social media. Authors like Kami and Margaret and Carrie and Jackson working together to support each other. Book promoters like Vania and me who love the books and connect with the authors. And the opportunity all of us have to connect with readers to create special experiences. It’s a simple truth. Whether you’re just starting our of firmly established, it pays to cultivate relationships with talented people you like, with the goal of creating value for everyone. It makes sense to hitch your wagon to a lucky star. I originally wrote this article for my friends at Digital Book World. You can see it there, as well as a bunch of other useful information about what happens at the intersection of publishing and the digital revolution by clicking here. I market new books through social media channels, and I’m going to tell you why I think ebooks should be produced very differently from the current model. Right now, an author writes a book and secures an agent, after which an editor negotiates the rights and purchases that book, after which revisions and edits are made, after which fonts are chosen and a cover design created, after which an ebook is fashioned (most likely text only) and a release date determined…. Then after all of these things are finished, someone like me might or might not be brought in the help market the book online. As we market a book on the internet, my company will almost certainly create video segments designed to create interest in the book: videos are more likely to show up early in search pages and more likely to be clicked on when they do. But, these video segments are created after all the previous production steps have been accomplished and the book is on its way to market. Any additional media created, which might include websites, animation, video, games and contests, will be built on top of already secured rights. This limits what can be done to market the book, especially if the film rights have been secured. Also, when creating video content to advertise a book, we are very conscious that the visual aspects, the actors, costumes, sets, etc., are not directly representative of the book they promote. They are not a part of the book and may not even relate to the cover design. Creating content like this, after the novel is fully realized, is like making a movie and then hiring a new set of actors, dressing them in similar costumes and placing them in a different setting to create the trailer, and then telling the audience that the trailer looks something like the movie being promoted, rather than parsing the trailer from elements of the film itself. Of course, the reason we love movie trailers is that they give us a taste of what we will actually experience in the movie itself. Trailers are great ways to generate interest. And that’s why I think we’ve got the whole ebook thing backwards. I’ve always maintained that marketing strategy is most important in the product development stage. That means the marketing should be built into the product itself. For books, we need to reverse the order by which books are currently created, negotiated and sold. We should produce an enhanced ebook first. Ideally, these multimedia pieces inform the actual writing of the book. The book would be written into existing media capabilities, the way a screenplay is written to capitalize on the visual and sound capabilities of film or TV. With enhanced ebooks, it would help if some forethought was given to potential interactive capabilities, but for the sake of this article, I’ll limit myself to the video/animation elements. That means that dynamic multimedia ebook content would be created before the physical book. In the months before the physical book is released, this dynamic content could be parsed and re-edited for distribution over the web, as well as through TV and even film. This newly edited content would be representative of the actual experience a user will have with the enhanced ebook. That makes better marketing, which means better findability. In a best case scenario, the content is created at the same time as the book is written. While in most cases that may not be possible, I believe that the agent should package both the content creator and the author when bringing the book to market, supplying a demo of the intended ebook. Of course, this would require a new rights model: literary agents would negotiate digital rights to include paying the content creators, much as illustrators are paid out of the advance and later through royalties. I believe that the ebook will eventually lead the market, rather than the hardcover book: it’s easier and cheaper to sell and distribute. Edited ebook content can be used for marketing through social media. If this content is unique and interesting in and of itself, it is innately viral. By “viral,” I mean that the content is voluntarily passed on by a user to her network (not that the content will be viewed millions of times overnight; that would be more like a pandemic than a simple virus). Ebooks have gained a significant share of the overall market in a very short time. While some of those sales may cannibalize the traditional print market, numbers suggest that the availability of ebooks Is creating whole new markets. Ebook sales could actually undergird and support sales of print books. This would allow for more effective and authentic marketing, where the marketing is actually an extension of the product itself (the ebook, in this case). It also gives users the option to purchase the book at their preferred price point; the inexpensive ebook, the more expensive paperback, or the high-end elite hard cover. Most customers are going to buy in their preferred format anyway. Why not create more interest upfront with ebook content? Of course, I’m talking about specific types of books—the books that are suitable for enhanced viewing on a tablet like the iPad. Children’s picture books are a natural choice for this kind of model. While nonfiction offerings like cookbooks and home improvement books are also obvious choices, here at Diabolical Toy, we work mostly with fiction, especially paranormal, speculative and historical narratives. I’m betting that turning the model on its end would not only allow for more effective integration of traditional and ebook marketing efforts, which is a cost saver in itself, but sell more books in both formats. Twitter Chat #2: Do Writers Want Readers or Money? So I’m going to while this is my second article based on a twitter conversation, I’m dubbing it the first of my “Either/Or” topics. In this case, I stumbled on a great conversation on Twitter involving @realjohngreen , @WolfsonLiterary and @SarahDarerLitt regarding a writer’s true goal: is it to reach readers, or to make money? WolfsonLiterary Not sure this is true. RT @realjohngreen: Right. But given that writers care more about readers than about money, should all books be free? realjohngreen @WolfsonLiterary You mean most writers care more about money than about maximizing the number of readers? Not my experience, at least. WolfsonLiterary @realjohngreen I think it’s fabulous to be in a position to do experimenting with free content, self-published material, etc. realjohngreen @WolfsonLiterary I don’t think it’s wrong to want money. I just think writers want readers, and publishing is a race to those readers. SarahDarerLitt @WolfsonLiterary @realjohngreen Unless u have a significant other supporting you, you need $ to have luxury to write & get readers. realjohngreen @SarahDarerLitt @WolfsonLiterary And unless publishing expands its overall customer base (unlikely) those sales will hurt the rest of us. I have to say, while I appreciate John Green’s point of view, and I do believe that the desire to gain users is a prime motivator to become a writer in the first place, Michelle Wolfson makes a very good point: those who wish to write for a living also (usually) want money. Not that they’d stop writing if they didn’t get it, but I think they want both. Really, it’s not an either/or proposition, and readership often leads to money. Lack of readers will curtail the opportunity to make money. The better question might be which does a writer need… and while the answer is again BOTH. But while you can gain readers without making money, if you have no readers, you wont be able to (continue to) make money: not if you want to extend your career past that first lucky deal. Of course, Sarah Darer makes another great point. You could continue to write full timeif you have someone who will support you. Not so much if you don’t. So should a writer be content to allow their work to be read when there is no money involved? I say it’s not necessarily a case of giving it away for free OR holding out for a check. I think smart writers will do both… the internet presents an amazing opportunity to use writing you give away to promote writing that you don’t. Of course, the challenge will still be to find readers, even if they’re reading for free. But heck, if you know giving it away will help you build an audience for your work, do it. And use it to promote yourself on the way to making money. There were some other great things that were said about the internet, performance art, and the writer as rock star, but you’ll have to wait to read about those in another post. Facebook is like that popular kid at school who was likeable, could be charming, but inevitably acted like a big bonehead when the chips were down. Why do I think this? Because they are blowing their biggest commodity (besides their user base, that is): Privacy. Let me start by saying that I think Facebook is an amazing phenomenon. I use it, I enjoy it, and I tell other people to use it if they aren’t already. This is because of what can be accomplished with Facebook’s technology. It has little to do with the brand facebook is creating, which as Debbie Stier mentioned on her blog, is beginning to feel really sinister and sneaky. I feel the same way, as I often feel when a company becomes very large, and then very cocky, doing things that would never fly if they were not so large (and cocky). I felt the same way when Microsoft when they programmed their operating system to disable competing programs upon installation. The reason Debbie and many others feel this way is related to the way Facebook treats their users privacy. My understanding, upon signing up for Facebook, was that is was a closed network, accessible by invitation only. I had to invite, and have that invitation accepted (or vice versa) in order to “see” someone else’s comments, interests, etc. I felt safe in expressing myself in ways that I might not on a completely public website (nothing lurid, just personal photos, opinions, things that distract from my professional persona that is designed for more public consumption). But since signing on, Facebook has changed their privacy settings and policies a number of times, and changed my privacy settings in the bargain. I have had to go through several complex and confusing hoops in order and change them back. The marketing wisdom in this? That by pushing people towards allowing all their information to become public, they will become a more profitable product for Facebook to sell to marketers and advertisers. But wait… I’m a marketer. And I believe that Facebook is a great platform to reach you and tell you about books that I think you might want to read. I would love to get a look at all your personal preferences and interests, designing unique promotional campaigns designed around your interests, delivered exclusively to you. What’s wrong with that? Nothing. As long as you’ve asked for it. That would be called “opting in”, and Danah Boyd had some great things to say about this in a recent article. It’s a key principle in “permission marketing” a term coined by Seth Godin. However, Facebook seems to want to change their privacy contract and start pushing marketing at you that you didn’t ask for. If you want to get rid of it, you must “opt out”, going through procedures that are increasingly complex, anti-intuitive and confusing. Opting in should be standard… you shouldn’t have to wonder every week whether previously private information is now public, or whether you’ve pressed the right buttons, only to find out later that you haven’t. You should be offered a choice to opt in upfront, and if you ignore it, your privacy setting should remain as your original contract proscribes. I think the way that going about this whole Private vs. Public thing is going to continue to erode trust in Facebook. And yes, I know that they have 50 million users. I also know that 3 big television networks once controlled almost all of the video available in America, that Microsoft was never going to fall from dominance, and that Friendster was here to stay. Things change, and users can be fickle. Given the choice to become part of a social network that offered the same services and trustworthy, user friendly policies? I know what I’d choose. But all of that is beside my main point. I believe that as our lives become increasingly public, as the exposure to and through online media becomes more and more prevalent, Privacy will be the next big, valuable asset in online interactions: something desired, sought after, and achieved with great difficulty. Facebook built a network on that principle, and now they want to throw it away. Many authors arrive in the publishing world with a preconception that their job will be done when they sign off on the final version of the manuscript and the book is finally printed. Most find that they are quite wrong in this assumption. The job of selling has traditionally belonged to booksellers. After all, that’s their job description: Book. Sellers. And as writers, we like to think that publishers are going to take on the more mysterious job of “marketing” the book. Which is another word for “selling”, though it doesn’t usually involve a transaction. The function of marketing is to find the potential buyer of a book and then to illuminate the reason they should actually make the purchase. So in this way, marketing is selling… giving people a reason to buy. There has been a great deal of talk about how (most) writers now bear most of the responsibility of marketing their books. I don’t think that this is a new thing, however much we’d like to harken back to a golden age when all writers did was write. The fact is, writers have always been responsible for selling their books. First, they must “sell” the book to an agent (or perhaps directly to the publisher, if a small house, or back in the “olden days” when publishers accepted unagented submissions). This was the first sell, and it has always been the writer’s responsibility to sell the book to the industry (even famous writers have to sell their books: their fame is what they use to sell them!). But it doesn’t stop there. Once she has agreed to represent the book, the agent literally has to sell the book to a publisher, which generally means an editor needs to be persuaded to champion the book, and sell it to his publishing house. Now that the book has found a publisher, the book must be refined, cover art designed, a release date chosen… other aspects that go into selling the book to… you guessed it: book sellers. And now that the bookseller has it? Whose responsibility is it to sell the book to that eager reader who will love this book, once they know it exists? The bookseller? The publishing house? The editor? The agent? The writer? Yeah, you guessed it. All of them. And while self publishing is changing the landscape of this industry, who wouldn’t want a team of passionately devoted, intelligent, informed believers in her book to stand behind it and sell it? And for the self publisher… take a note: You’ll need to build a team of sellers to compete. I think what many writers fail to realize is that when they strive to have their books published, they have entered the publishing industry. For better or for worse, regardless of its history or future. Writers need to learn how this industry works, and how to make it work to their advantage. I think smart writers have always done this, brining in additional marketing muscle when the publisher is unable to do so. So the writer starts by selling the book, and once the book hits the stores, the writer and his team are once again out there, using whatever media is available, social or traditional, to sell this book with the end result that the book is purchased and enjoyed by the reader… who at the end of the day, is the most important seller of all. Social media has made the role of the reader/recommender of books more immediate and more potent. My advice is to start building a team, make sure they collaborate effectively with one (sales oriented) goal in mind: to make the reader into the book’s chief seller. That’s where I come in… innovating the use of social media to engage readers and make them champions of the books they love. Let me know if you’d like me on your team!